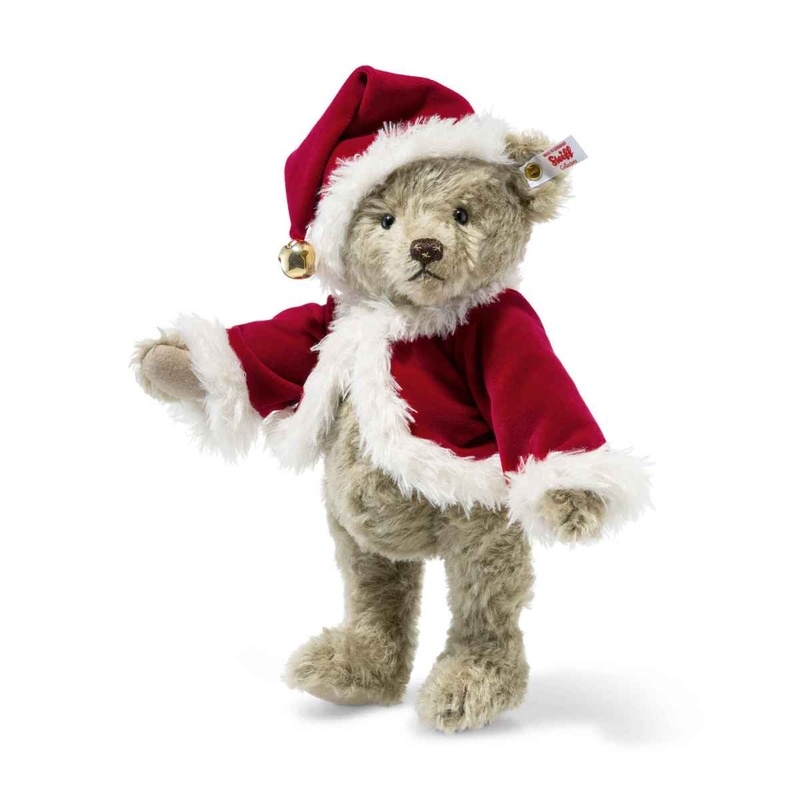 Size: 32 cm / 12.5"
“All good things come in threes!” With the season of goodwill approaching, the Christmas Teddy bear reached three times into his box of seasonal accessories. The first time, he pulled out a deep red velvet bolero with plush trimmings. And, with a glance in the mirror, declared it “just the ticket!”. While his second attempt yielded a matching hat, the third time around saw his outstretched paw fall upon a gold-coloured bell. Quickly attaching this to his hat, the bear is almost satisfied with his new look. Almost. It is still lacking a certain something. Suddenly, inspiration strikes and we find our furry friend a little later sitting happily in the Steiff workshop – with three golden stars embroidered on his button nose. After all, all good things come in threes!